Netflix announced Monday that it will soon debut a new sketch comedy series, The Characters. The show will feature eight on-the-rise comedians and give each of them their own 30-minute episode to basically do whatever they want. As Netflix puts it in a release, "No rules. No limits." The comedians will write and appear solo in their own episode of sketches, which will range from music videos to biblical spoofs to parodies of The Bachelor. 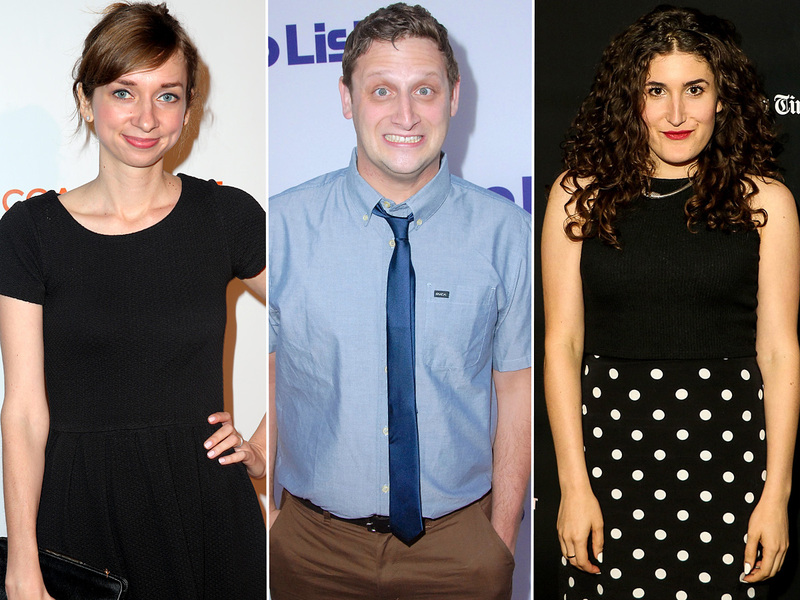 The eight comedians are Lauren Lapkus (Orange Is The New Black), Kate Berlant (The Meltdown), Dr. Brown (Dr. Brown), Paul W. Downs (Broad City), John Early (Wet Hot American Summer: First Day of Camp), Tim Robinson (Saturday Night Live), Natasha Rothwell (writer at SNL) and Henry Zebrowski (Heroes Reborn). Characters will also feature cameos from the likes of SNL's Cecily Strong and Bobby Moynihan, plus Tyson Beckford (Make Me a Supermodel) and Abbi Jacobson (Broad City). It all goes down when the episodes start streaming Friday, March 11. In the meanwhile, check out the sneak peek below.